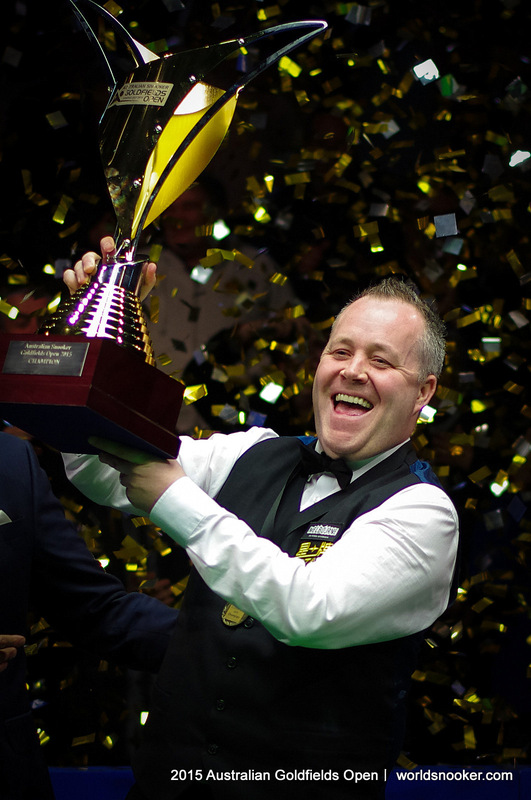 John Higgins won the 27th ranking title of his career by beating Martin Gould 9-8 in an exciting final at the Australian Goldfields Open in Bendigo. Gould, who had been seeking his first ranking title, fought back from 7-5 and 8-7 down to 8-8, but a superb break of 89 from Higgins proved decisive in the last frame. 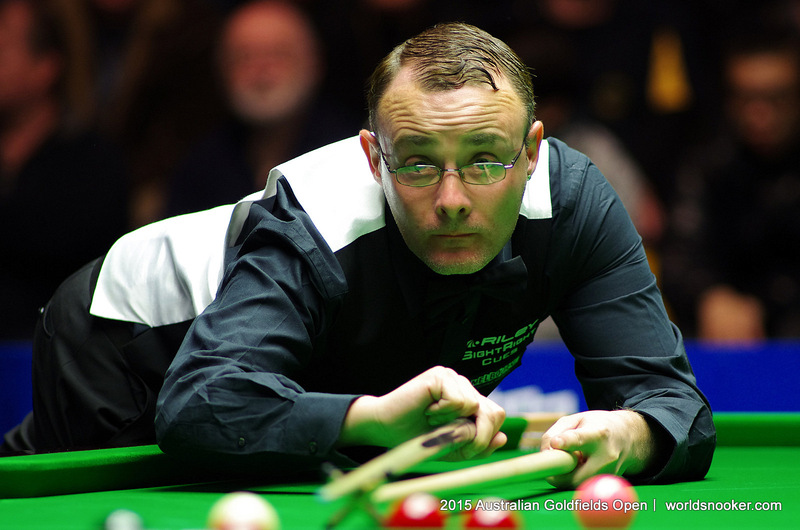 It’s the perfect start to the season for Scotland’s 40-year-old Higgins as he takes the A$75,000 top prize in the first ranking event of the campaign. Victory brings his career tally level with Ronnie O’Sullivan and just one behind Steve Davis, though still nine short of Stephen Hendry’s record 36 ranking crowns. Four-time World Champion Higgins suffered a long lean spell of over two years before winning the Welsh Open last February, signalling his return to form. Playing alongside Stephen Maguire, he also reached the final of the World Cup last month before losing to China B. Carrying that form and match sharpness into the event in Australia, he won five matches, culminating in today’s win over Londoner Gould. World number 26 Gould heads home with a cheque for A$32,000. World number 13 Higgins won the opening frame with a break of 90 then took the second with a 30 clearance. 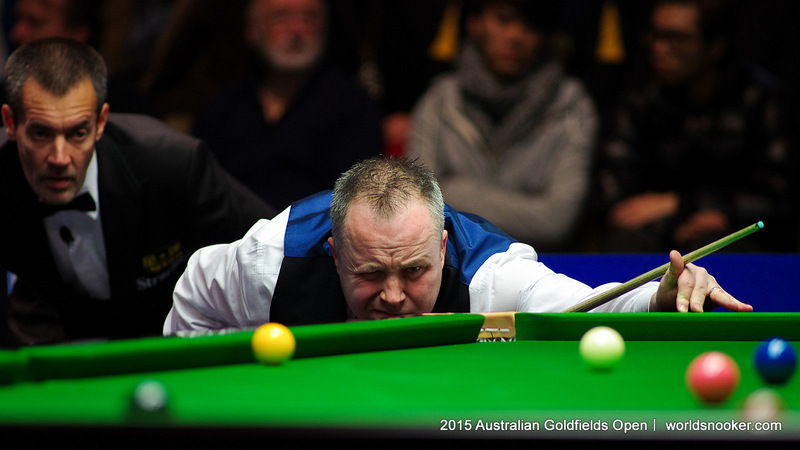 Gould stormed back by winning four frames in a row with top runs of 101, 86 and 89. Higgins took the next with a 112 and added the eighth to leave them tied at 4-4 after the first session. Wishaw’s Higgins went 6-4 ahead at the start of the evening session. Gould pulled one back with a superb 138 and he led 40-0 in the next, only for his opponent to clear with 66 to make it 7-5 at the interval. Gould fought back to take the next two with top runs of 55 and 58 to level at 7-7, and he had chances in the next but it was Higgins who won it with a break of 60. Higgins could have clinched victory in frame 16 but missed a tricky last red when leading 54-33, and Gould cleared for 8-8. Gould had first chance in the decider but could only make 8, and Higgins, as he has done so often, rose to the occasion with his match-winning 89. “It was one of the best finals I’ve ever been involved in,” said Higgins. “Credit to Martin because it was a brilliant match, I’m sure he’ll start winning tournaments now. The crowds have been fantastic all week and the players really appreciate that. “I wasn’t feeling any nerves at the end. I missed the chance to win 9-7 and he made a great break for 8-8. It was anyone’s game and I managed to hold myself together in the last frame, so I’m delighted. “I made a little technical change before the World Cup, standing more square-on to the shot, whereas before I felt my right leg was leading off into areas it shouldn’t be going. It seems to be working. It would be dream material if I could get to 28 ranking titles and equal Steve Davis. Ronnie O’Sullivan has won more than me over the years, made more century breaks and won more world titles. So he’s in front and he’s chasing Stephen Hendry’s records. I don’t know how long I’ll be able to keep going and trying to win tournaments, I’m just really happy to have won this one. Gould said: “I can’t say I’m not gutted, but I’ll be back again. It was a high quality match today with a lot of big breaks. The support I have had here has been unbelievable. Hopefully they won’t get too upset when we beat them in the cricket!